We specialise in AC/DC drives, AC/DC motors, servo drives, PLC & SCADA systems, instrumentations & control panels, etc. We supply control components, electrical wiring accessories, Qlight signal, warning light, Stilo rotary switch, terminal block and terminal connector. 1, Jalan Anggerik Mokara 31/57, Kota Kemuning, Seksyen 31, 40460 Shah Alam, Selangor, Malaysia. 22, Jalan Shahbandar 2, Taman Ungku Aminah, 81300 Skudai, Johor, Malaysia. Prudent Aire Engineering Sdn Bhd specialises in the manufacture of a diverse range of air terminal devices, dampers, designed and manufactured to international standards. Our office is located in Seri Kembangan, Selangor, Malaysia. Lot 2102 Jalan KPB 12, Off Jalan Suria Park 1, Kampung Baru Balakong, 43300 Seri Kembangan, Selangor, Malaysia. Saturn Pyro provides products and solutions to measure, monitor and manage energy resources effectively. ATF Advance Technique (M) Sdn Bhd specializes in manual & automatic aluminium anodizing, automatic slitting process, electroplating & laboratory facilities, laboratory analytical process, electrical control system and sheet metal works. Our main office is located in Sungai Petani, Kedah, Malaysia. iMS Motion Solution (Johor) Sdn Bhd is one of the leading company in motion & control technology industrial. Our main office is located in Ulu Tiram, Johor. 7, Jalan Sasa 4, Taman Gaya, 81800 Ulu Tiram, Johor, Malaysia. Sentric Controls Sdn Bhd is a sensor and control automation components manufacturer company. 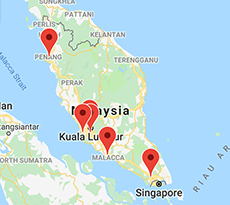 Our main office is located in Penang, Malaysia. 68, 1st Floor, Persiaran Mahsuri 1/2, Sunway Tunas, 11900 Bayan Lepas, Penang, Malaysia. Optimus Control Industry PLT is one of the leading Automation & Control Components supplier located in Bandar Sri Damansara, Kuala Lumpur (KL), Malaysia and Thailand. Repair Inverter, AC Drive, DC Drive, Servo Drive, Servo Pack, PLC, HMI/Display, PCB Board, Power Supply, UPS, Forklift Controller, Elevator Controller and many more. 57, Jalan Utama 2/22, Taman Perindustrian Puchong Utama, 47100 Puchong, Selangor, Malaysia. We offer wide range of industrial automation, mechanical engineering, electronic & electrical accessories or equipment. 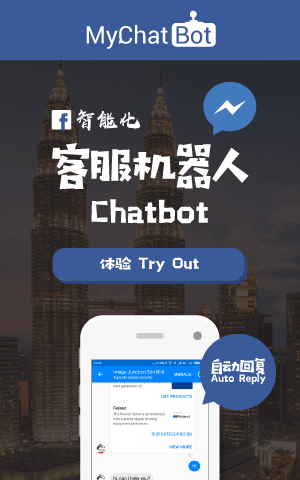 25, Jalan Suria Puchong 2, Puchong Gateway, 47110 Puchong, Selangor, Malaysia. provide a practical, trouble-free means for industrial, institutional, construction and wholesale businesses to acquire superior products for the workplace which establish many years go in Malaysia. 21 & 21A, Jalan Bakawali 41, Taman Johor Jaya, 81100 Johor Bahru, Johor, Malaysia. 73, Jalan Seroja 39, (Seroja Industrial Park) Taman Johor Jaya, 81100 Johor Bahru, Johor, Malaysia. leading industrial automation company focused the most valued service provider in control, automation, electrical, mechanical and design services in the semiconductor, chemical, food, pharmaceutical, automotive, food & beverages, metal surface treatment, OEM, electrical dealers, contractors and general industries. 95, Jalan Rosmerah 2/3, Taman Johor Jaya, 81100 Johor Bahru, Johor, Malaysia. We are a fast growing Engineering and Technical service provider for Marine, Oil and Gas , Petrochemical and Manufacturing industries in E & I and System Automation. 16, Jalan Senangin 6/1, Taman Pasir Putih, Mukim Plentong, 81700 Pasir Gudang, Johor, Malaysia. We specialize in electrical control system, jig & fixture, air dryer, piping system, pneumatic component and air compressor. Sensorik Automation Sdn Bhd established in year 2000 with the purpose of automation providing sensing & control solutions for factory process and control automation to meet customer application requirements. Our main office is located in Skudai, Johor.